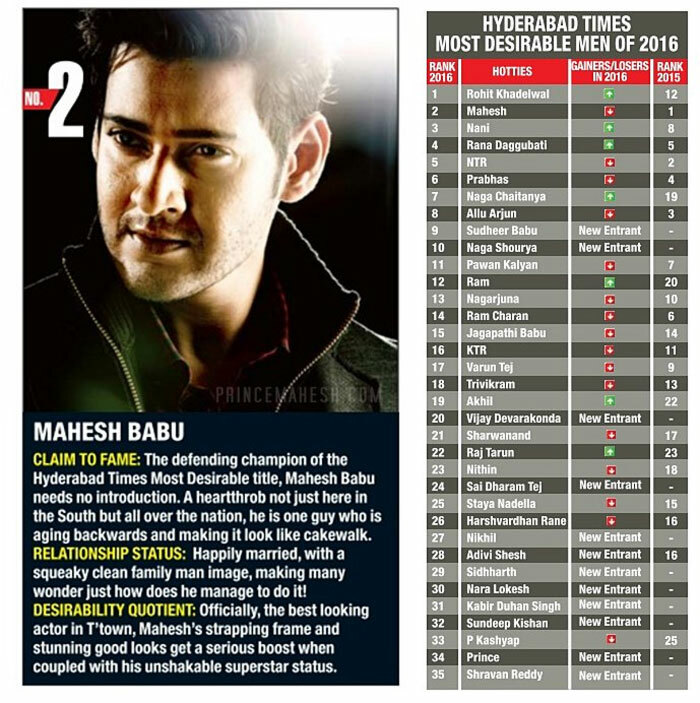 Superstar Mahesh Babu is literally exhibiting his dominance in the last five years in Hyderabad circuits when it comes this Most Desirable Men list. Though many Bachelors try to give him some tough competition, our married actor woos with his stunning charms, handsome demeanour and powerful presence. However this time, he lost that No.1 rank again. Yes, he keeps on getting and losing it. 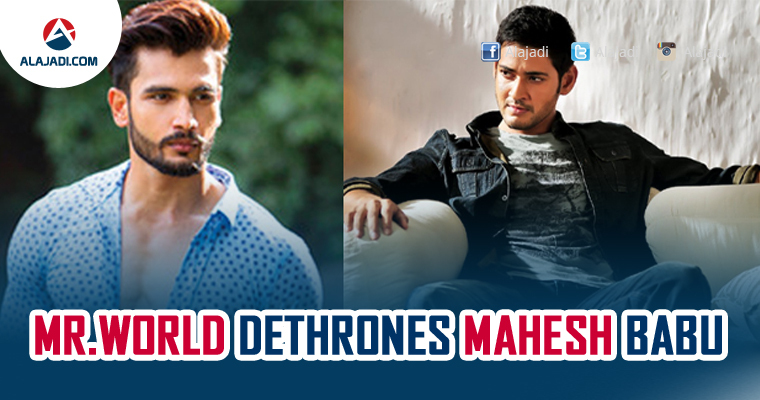 In an online poll that’s being conducted by popular English daily Times Of India in Hyderabad, Mahesh is the top contender always. Way back in 2012 and 2013, he’s the Most Desirable No.1 hero for Hyderabadis. Also in 2013, he is the Most Desirable Man for whole of India as well. But in 2014, Rana Daggubati dominated Mahesh and pushed him to No.2 spot, only to allow the Superstar into top slot in 2015. Many thought that the Srimanthudu actor will retain his No.1 spot yet again in 2016 as well, but he has fallen to No.2 position again. This time, he’s not beaten by any actor. After winning the coveted Mr World crown last year, Hyderabadi boy Rohit Khandelwal literally won the love of everyone from the Pearl City. He has now received enormous votes and became No.1 on the Most Desirable Men Hyderabad 2016 list, thereby beating Mahesh. Well, losing rank is not new for Mahesh and it happens for him only to claim his position again next year. Though these ranks are dependent on votes basis, definitely the hype and hoopla around a celebrity through his work, public appearances and achievements are the ones that create impact mindsets of people. Wait for Mahesh to comeback. Not a surprise, Rahul bagged a Bollywood Project already. He is currently taking part in the acting workshops in Mumbai.